Tag Archives: I’ve been a confirmed pothead my entire life! I use a 2:1 CBD THC oil tincture. The oil goes right under your tounge and it helps a lot with sleep and nighttime anxiety. I also smoke regular high grade marijuana, usually a nice kush, it really takes the edge off, sometimes it makes me paranoid if my anxirety is real bad but otherwise it helps! Oh that’s too bad. Maybe it’s the strain? Either way, that doesn’t like fun. Oh, don’t give up now, […]!! I’m 65 and 42 months out. I have to keep telling myself I’m going to make it through this. I don’t want to have my immune system go down for some damned drugs I’ve taken. I tried pot, too, in earlier times. Had wonderful experiences on it before. Especially liked it for exercising. I should have stayed with it instead of being put on a benzo, but at that time I thought “do the right thing” since it was illegal. HAH!! What a crock. 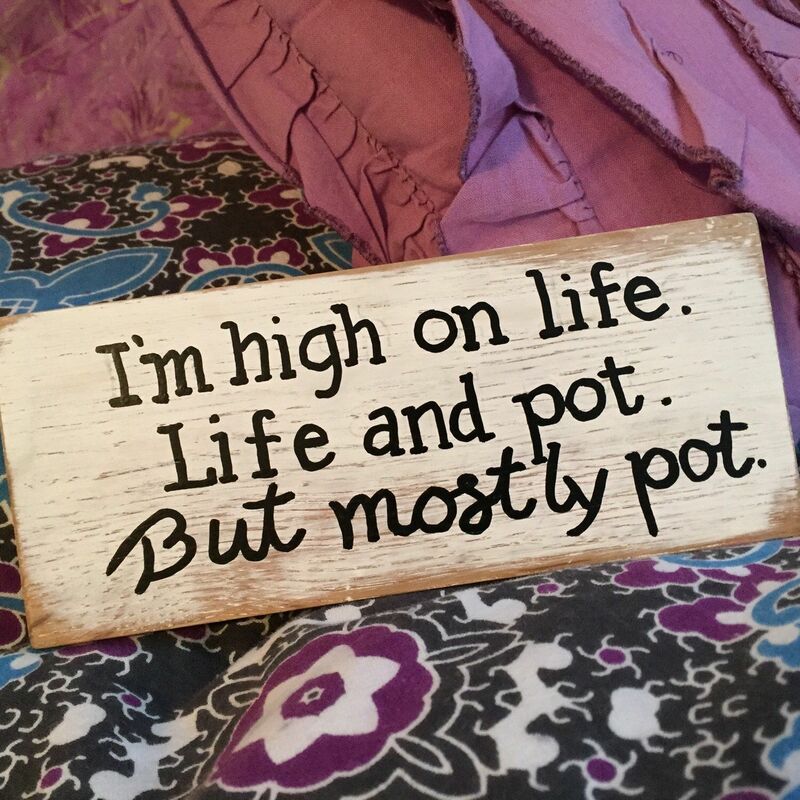 Now I don’t feel the same way at all and had to forget about pot. It’s just not the same feeling anymore, unfortunately. If you tried a high THC strain, that’s why. I would suggest trying a high CBD strain instead. I don’t know how long you’ve been off, but high THC would throw many folks into paranoia. That isn’t the pot from your youth. It’s so much stronger. I’d guess that most of the stuff I did in high school (easy 70s) was 5-6% THC (maybe 8% if we got really good stuff). Nowadays, it’s usually 20% or higher, and can approach 30%. You have to take that into account and go super easy on it when you’re first starting (or re-starting). Much depends on the strain as some have eluded to. Some strains make me all hyper (good for getting things done, but not for calming down). Some mellow me out. Those are the ones I seek to help with sleep. Best relaxing/sedating strain I found so far has a lot of myrcene (a terpene) in it. Another route, as […] mentioned, was to add some CBD to the mix. A lot of people like strains that are moderate in both THC and CBD. Some use strains that are almost all CBD. So many choices today, so much information. Not like scoring a dime bag of whatever was available (often little better than ditch weed) back in the day.